What would you use to fill a pothole, other than an asphalt mixture? We are only asking, because UK-born Steve Wheen has come up with an idea, which is downright brilliant. 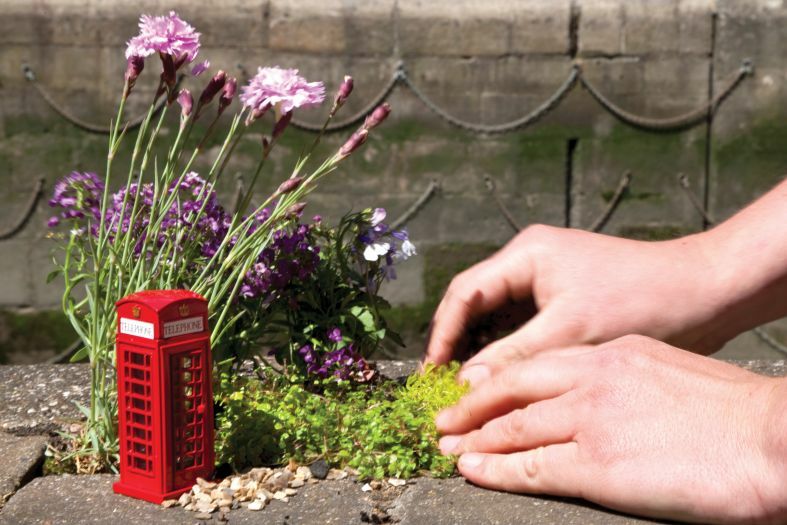 Steve uses plants to create miniature gardens, miniature tennis courts, miniature throne rooms and all sorts of other miniature flower-based concoctions landscapes. No pothole is too deep for Steve and his ability to attract the public s attention to London s deteriorating roads. We asked Steve about the faith of his creations, after they have been arranged and photographed: “Sometimes they remain a part of the scenery for a while, if they are not in the middle of a busy street, but rather on the side of the road or on the sidewalk. However, they usually last no longer than a few hours.” Since we are obviously not the only ones interested in the topic, Steve recently shot a miniature film titled “Holes of Happiness”, which deals with the matter of what happens “afterwards”. Steve is neither the only, nor the first artist in his field. The first attempts to plant flowers in potholes were made in the USA, about 10 years ago, and ever since aficionados all over the world have contributed to the movement, by adding their own compositions of asphalt and color. The craft has now come to be called guerrilla pothole gardening. “I believe we are making the world a more beautiful place, one pothole at a time”, says Steve. We thought that the idea would suit other countries roads as well. Browse through Steve s creations and who knows, you might be inspired to follow in his footsteps. You can follow Steve s latest lush creations in his blog.